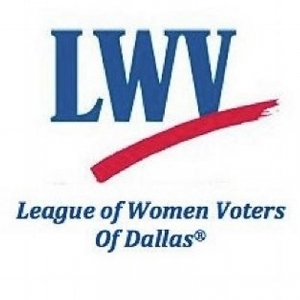 DALLAS (WBAP/KLIF News) – Early voting for the midterm elections starts next Monday and the League of Women Voters Dallas wants North Texans to cast their ballots. The League’s Rebecca Acuna said in the last midterm election, only 28.5 percent of registered Texas voters went to the polls. She said this year could be different because Texas broke a record. “We have 15.6 million registered Texans. Now, that’s great that we have a record number of registrations but we’ve got to make sure that people turn out,” said Acuna. Political insiders are predicting a larger turnout than normal this year due to the hotly contested race between Senator Ted Cruz and his Democratic Challenger Beto O’Rourke. Acuna said these type of highly competitive races help boost voter turnout but it’s not always guaranteed. There has been a lot of talk across the country about the need for politicians to make a connection with one of the nation’s largest demographics….the youth. It’s something the League of Women Voters Dallas has made a point to do. Acuna said they’ve been focusing on getting the younger demographic to vote by speaking at high schools and colleges. Research shows that most Texas voters skew older but Acuna said regardless of age, the organization’s forums show that each demographic has its concerns. “Affordability of college of education, property taxes is a huge issues with home owners and seniors, access to healthcare,” she said. Early voting runs from Monday October 22nd through Friday November 2nd. You can get information on all the Texas candidates on the non-partisan site Vote411.org.